The Olympus E-PL5 is the latest mid-range interchangeable lens Pen camera in Olympus’s Micro Four Thirds mirrorless camera line. What makes the E-PL5 different from previous Olympus Pen cameras is it uses the same 16-megapixel sensor as the OM-D E-M5, arguably the best mirrorless camera available right now. That sensor really broke ground for the Olympus Micro Four Thirds cameras, delivering image quality that I hadn’t thought was possible with the smaller Four Thirds sensor. I haven’t used the E-PL5 enough yet to really get a feel for it but based on the studio tests, the few photos I have shot in the field and my experience with previous Olympus Pen cameras, I think this camera is a winner. And a great deal. The E-PL5 will set you back US $650 with a lens and deliver the same image quality, auto focus performance and video quality as the OM-D, which sells for $1000 without a lens. 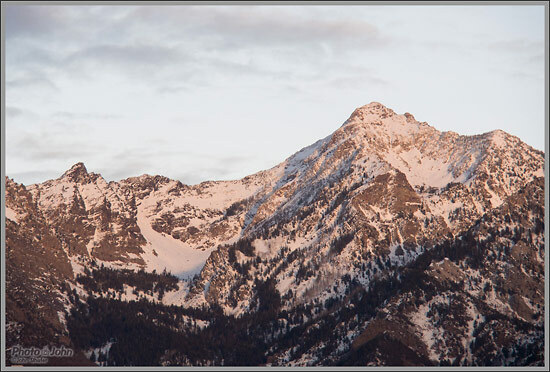 I’ve included one mountain sunset photo as well as a link to the rest of the Olympus E-PL5 photos I’ve uploaded. But the meat of this article is the batch of high-res studio sample photos below. They were shot RAW at all ISO settings with the 14-42mm kit lens at f/8 in aperture priority with the camera’s white balance set to the tungsten preset. The RAW files were converted to 16-bit TIFF files in Lightroom and the graybar, text and logo were added in Photoshop before the images were resaved as maximum quality JPEGs. No adjustments were made in Lightroom or Photoshop and no noise reduction or sharpening were applied. 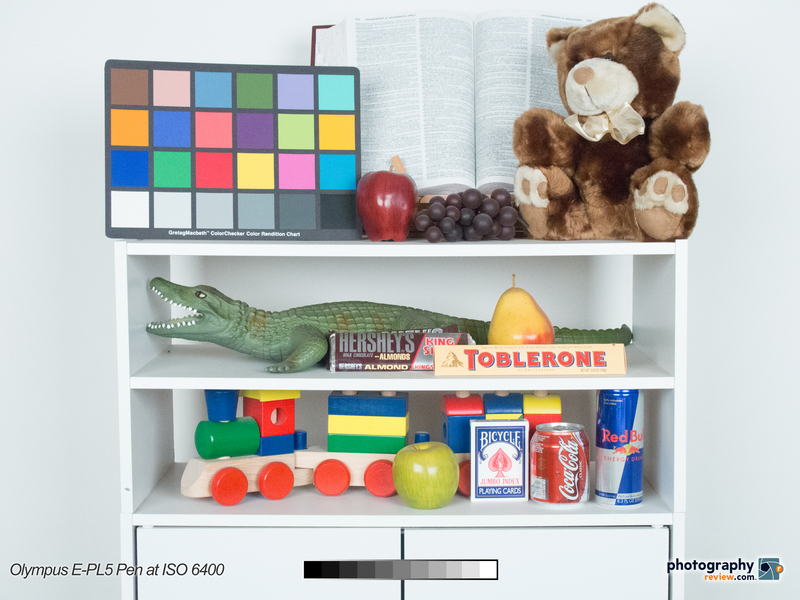 Since the sensors are the same, I compared to a couple of our OM-D studio tests and I do see a bit of a difference. The OM-D files are a bit more contrasty and the exposure is a little darker. The exposure is, of course, my doing. The contrast difference I’m chalking up to the better 12-50mm zoom lens that came with our OM-D test camera. The noise levels and sharpness seem the same. But don’t take my word for it. Check out the Olympus E-PL5 studio sample photos below. Download them, print them, compare them to our other studio samples and pixel-peep to your heart’s content. The proof is in the pudding and you can pass your own judgment.